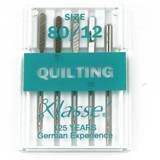 Klasse needles go through 155 quality checks, earning them the industry's highest quality rating for: stability at high speeds, seam appearance, clean stitch holes and precise uniform stitch ability. 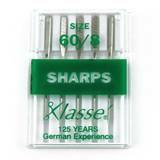 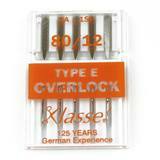 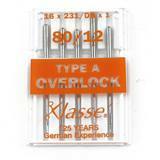 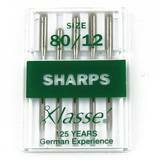 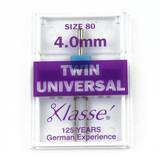 Each Klasse needle has a unique number stamp stating the needle's point style and size, making it easy to identify when separated from the package. 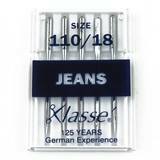 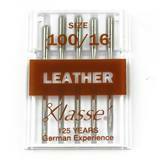 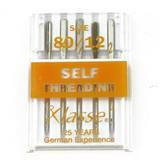 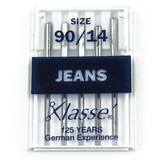 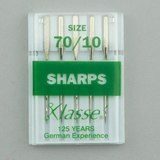 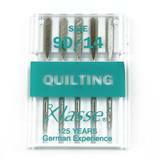 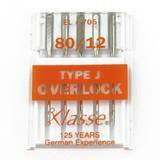 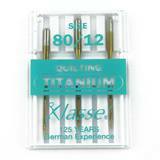 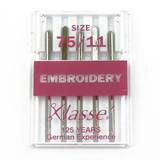 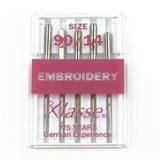 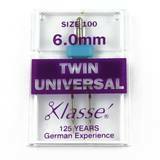 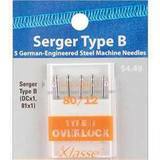 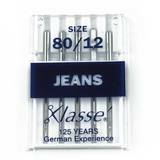 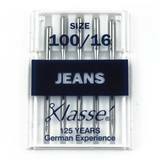 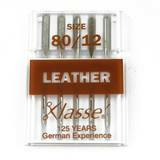 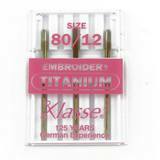 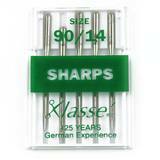 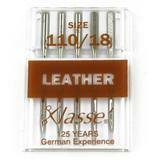 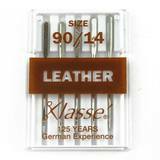 We carry a wide variety of Klasse needles including universal, leather, quilting, jeans/denim, embroidery, twin, self threading, serger and sharps.